1 Queen 20th Century Fox Fanfare - 00:26 Min. 2 Queen Somebody To Love (Remastered 2011) - 04:59 Min. 3 Smile Doing All Right (...Revisited) - 03:17 Min. 4 Queen Keep Yourself Alive (Remastered 2018 / Live At The Rainbow, London / March 1974) - 03:56 Min. 5 Queen Killer Queen (Remastered 2011) - 03:02 Min. 6 Queen Fat Bottomed Girls (Remastered 2018 / Live In Paris, France, 27 February 1979) - 04:38 Min. 7 Queen Bohemian Rhapsody (Remastered 2011) - 05:58 Min. 8 Queen Now I'm Here (Remastered 2018 / Live At The Hammersmith Odeon, London / 1975) - 04:26 Min. 9 Queen Crazy Little Thing Called Love (Remastered 2011) - 02:48 Min. 10 Queen Love Of My Life (Live At Rock In Rio Festival, 18 January 1985) - 04:29 Min. 11 Queen We Will Rock You (Movie Mix) - 02:09 Min. 12 Queen Another One Bites The Dust (Remastered 2011) - 03:37 Min. 13 Queen I Want To Break Free (Remastered 2018) - 03:43 Min. 14 Queen Under Pressure (Remastered 2011) - 04:08 Min. 15 Queen Who Wants To Live Forever (Remastered 2011) - 05:17 Min. 16 Queen Bohemian Rhapsody (Remastered 2018 / Live Aid, Wembley Stadium, London, / 1985UK /) - 02:28 Min. 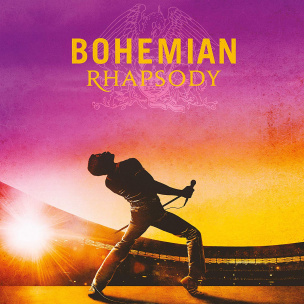 17 Queen Radio Ga Ga (Remastered 2018 / Live Aid, Wembley Stadium, London, / 1985UK /) - 04:06 Min. 18 Queen Ay-Oh (Remastered 2018 / Live Aid, Wembley Stadium, London, / 1985UK /) - 00:41 Min. 19 Queen Hammer To Fall (Remastered 2018 / Live Aid, Wembley Stadium, London, / 1985UK /) - 04:04 Min. 20 Queen We Are The Champions (Remastered 2018 / Live Aid, Wembley Stadium, London, / 1985UK /) - 03:57 Min. 21 Queen Don't Stop Me Now (...Revisited) - 03:38 Min. 22 Queen The Show Must Go On (Remastered 2011) - 04:38 Min.